Nicholas Danielson creates objects that present food, offer conversations, invite touch and enrich space. His work grows from a deep love for historical communal wares and is inspired by their humility and unapologetic functionality. 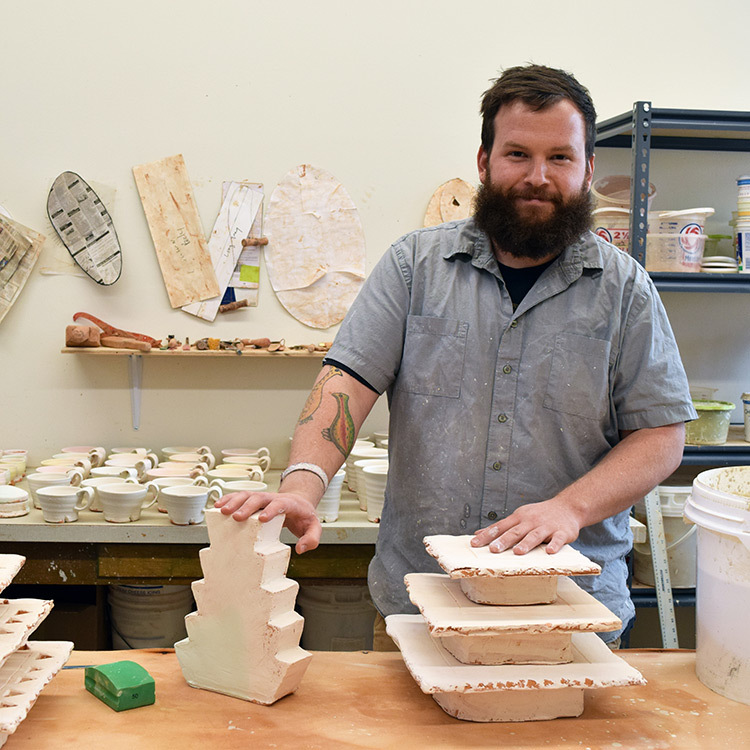 Having largely practiced ceramics in an academic setting, he is excited to have the opportunity to make his transition from a student researcher to a professional practitioner as a long-term resident at the Bray. Nicholas was born and raised in the suburbs of Chicago, Illinois. After 20 years, he moved west to Montana. There he completed his BFA in ceramics at Montana State University in Bozeman, Montana, in 2012. Following his graduation, he held a short term residency at the Red Lodge Clay Center in Montana. He went on to earn his MFA from Utah State University in Logan, Utah, in 2016. While a graduate student he completed a study abroad program at Hongik University in Seoul, South Korea. Nicholas is currently the 2016–2017 Joan Lincoln Fellow at the Archie Bray Foundation. To see more of Nicholas's work visit his website at earleceramics.com.